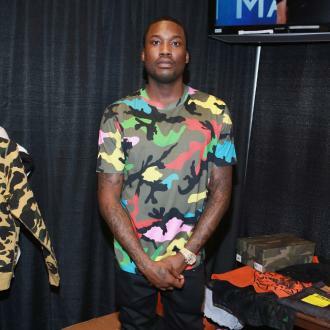 Meek Mill took a helicopter to the Philadelphia 76ers' basketball match against Miami Heat on Tuesday night (24.04.18) to perform the ceremonial ringing of the bell, just minutes after he was granted bail. 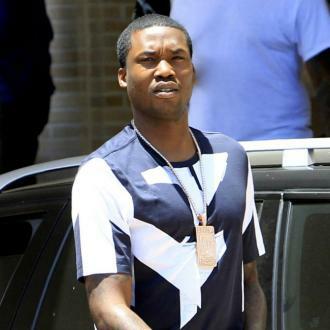 Meek Mill was flown in a helicopter to the Philadelphia 76ers basketball game just minutes after he was granted bail. The 30-year-old rapper - who was sentenced to two to four years in prison five months ago after he violated the terms of his parole stemming from a drug and weapons conviction in 2008 - was released shortly before 7pm on Tuesday night (24.04.18) and took a chopper to Philadelphia's Wells Fargo Center. Meek met the 76ers' players in their changing room before the game, and then walked down the tunnel to applause from the 20,000-strong sold out crowd just after 8pm. He performed the ceremonial pre-game ringing of the bell, which tends to feature a local person of influence ringing a Liberty Bell replica before the tip off and precedes every 76ers home game. 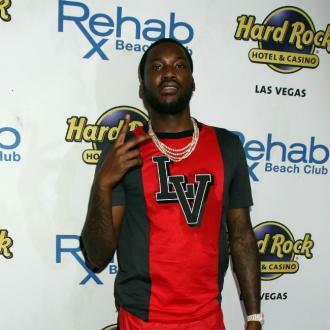 Meek inspired the 76ers to a series-clinching 104-91 victory over Miami Heat after watching the match courtside alongside Sixers owner Michael Rubin, and Philadelphia Eagles owner Jeffrey Lurie, and comedian and fan Kevin Hart. During the timeout breaks and at half-time, the rapper's songs were played out to his elated hometown crowd. Prior to arriving at the game, Rubin took to Instagram to share a photograph of himself, Meek and others heading to the match. 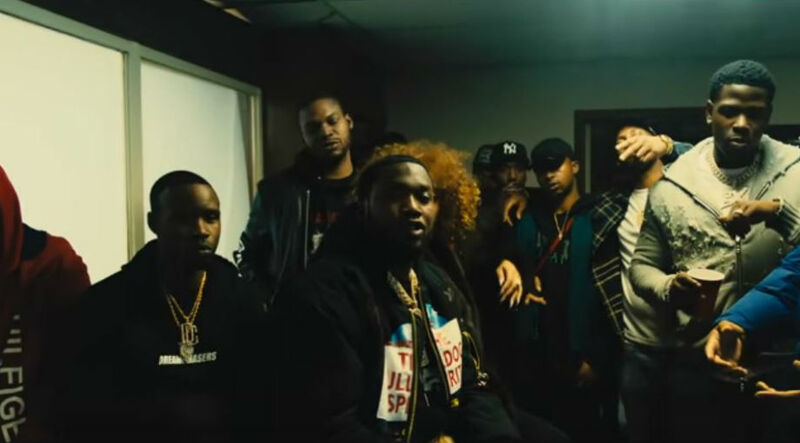 Meek had previously had requests for bail denied by judge Genece Brinkley, but the Supreme Court last night overruled the judge's decision and granted the rapper with immediate bail. In a statement from Meek's lawyer Joe Tacopina, the star said: ''I'd like to thank God, my family, my friends, my attorneys, my team at Roc Nation including JAY-Z, Desiree Perez, my good friend Michael Rubin, my fans, The Pennsylvania Supreme Court and all my public advocates for their love, support and encouragement during this difficult time.